Title The sword of summer / Rick Riordan. Publication Info. [New York] : Listening Library (Audio), 2015. Description 1 online resource (1 sound file) : digital. Riordan, Rick. 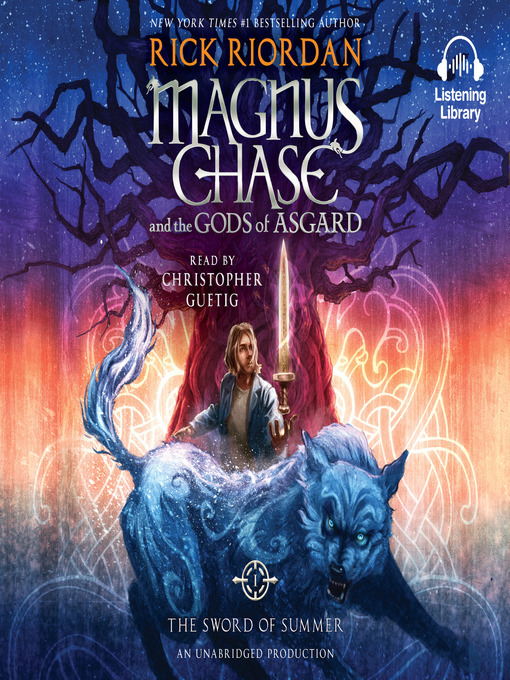 Magnus Chase and the gods of Asgard (Sound recording) ; 1. Note Title details screen (OverDrive; viewed May 4, 2015). Performer Read by Christopher Guetig. Subject Gods, Norse -- Juvenile fiction. Added Author Guetig, Christopher, narrator. ISBN 9781101916995 electronic audio bk.